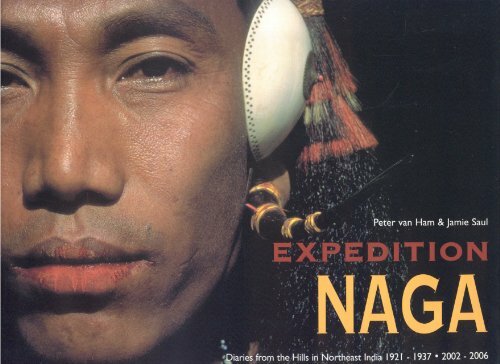 "Expedition Naga" is a multisensory trip into one of the world's most remote and least accessible regions. Diaries written by British administrators/explorers during punitive expeditions in the 1920's and -30's against the Naga, a people once notorious for their headhunting activities, are compared with contemporary notes written during the last 5 years when the authors were given special permission to do fieldwork in the long forbidden border areas between India and Myanmar (Burma). Four hundred contemporary and historic photographs, most of which are published here for the first time ever, along with film and sound material on the enclosed free DVD, allow the reader to explore both the present and the past of one of the least known, yet most interesting cultural realms as it has never been possible before.The book will appeal to travellers, anthropologists, people interested in exploration and photography. Furthermore, the subject is spectacular in that many rituals, such as headhunting and other rites associated with fertility, are still taking place, the area having been closed for such a long time. The culture of the Naga people is amazing to witness in the twenty-first century when such cultural traits rarely exist. Furthermore, they are not associated with Indian culture, but rather with African or Indonesian. Peter van Ham works as an educator, author and producer of visual and acoustic media in Frankfurt, Germany. He has written extensively and even best selling on the Northeast of India and was the first foreigner to travel in the region's remotest and most restricted parts for consecutive explorations from 1996 until 2005. He has been actively involved in the production of two documentaries and three international exhibitions on the peoples of Northeast India. Together with friends from Nagaland he has formed a society for the preservation and promotion of Naga heritage (SPNH), which calls a good number of people from around the world its members. Furthermore, he is a Fellow of the Royal Asiatic and Geographical Societies, London, and the Explorers Club, New York.James D. Saul was J.H. Hutton's "last student". An architect by profession, Jamie lived in Johannesburg, South Africa. He was the first to work extensively and publish on the Naga peoples of Burma since limited access to their region was granted for the first time in 2001. In addition, he was working closely with Naga and other sources in compiling a database of unpublished materials and maps of the central and eastern Naga groups, with a view to making this material available to future Naga scholars through the SPNH. In spring 2006 he passed away under tragic circumstances in the Burmese Naga Hills.